The Scotford Tennis Bubble is a unique feature on the tree covered campus of Whitworth University in the north Spokane area. This dome structure was established in 2005; concealed within the bubble lies the Ross Cutter Tennis Courts, which includes three interior courts. In addition to these all-weather courts are three exterior courts located directly outside for when there isn’t two feet of snow on the ground. These courts all sit beside the university recreation center atop a ridge overlooking the “back 40”, the small ravine north of the campus where power lines have paved a valley of grass. The location of this facility is reason enough to pick a game of tennis here or there. This athletic facility was named after John Scotford, as was the Scotford Fitness Center, who made numerous contributions large enough to construct both facilities. In fact, “A $1 million donation to Whitworth College is one of the largest ever given to the Presbyterian Church-owned college”. Scotford was originally from Omak, WA before attending and graduating from Whitworth University in 1951 with a bachelors in economics. Upon graduating from Whitworth, it is said that John worked for Boeing Airplane Co. in Seattle, Wash., before moving to Ohio in 1957. In Ohio, “Scotford flew jets for the U.S. Air Force and bought his first auto dealership in 1962. 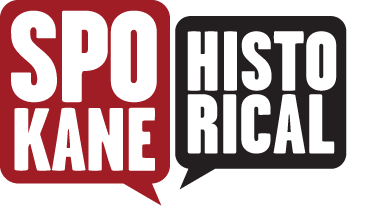 He later added restaurants, a gas and oil company, real estate developments, a bank and nursing homes”. 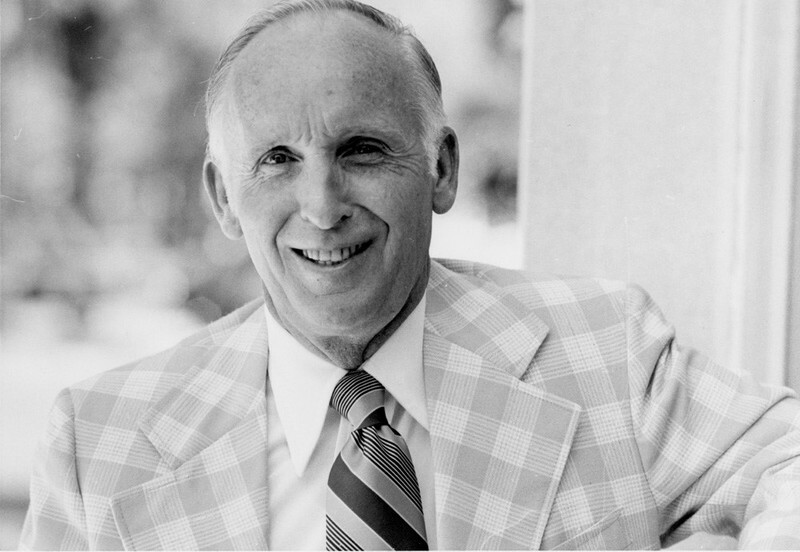 Overall, Scotford was a very successful businessman and prestigious founder of many Whitworth additions that students to this day greatly enjoy, including Omache Field, the Bonnie V. Robinson Endowed Keyboard Scholarship, and of course the tennis bubble. As mentioned earlier, the Ross Cutter Tennis Courts are located within the Scotford Tennis Bubble. Ross was another man who significantly impacted Whitworth, especially in the field of athletics. He was a beloved professor and coach who came to Whitworth in 1958. Since arriving, he built a legacy around tennis. In fact, “He introduced a popular ritual known fondly by faculty and students as the ‘Ceremonial Opening of the Balls,’ over which a member of the Whitworth community was invited to preside at the beginning of each match”. In his name, the A. Ross Cutter Award was given to an outstanding male tennis player, which began upon his retirement in 1991. In his years at Whitworth, he was inducted into the NAIA Coaches Hall of Fame in 1986 and the Heritage Gallery Hall of Fame in 1934. Ultimately, this beautiful establishment wouldn’t have been made possible if it had not been for the Merkel-Cutter Endowment, which was established in 1997 and worked to express gratitude towards Cutter and longtime head baseball coach Paul Merkel. This donation is used primarily to maintain and improve existing athletic facilities as well as establish possible new ones, which is exactly what happened leading up to 2005 thanks to the generous contributions of John and his wife Judy. Caleb Graham, “The Scotford Tennis Bubble: An Airy Solution for Indoor Tennis,” Spokane Historical, accessed April 19, 2019, https://spokanehistorical.org/items/show/794. Whitworth University. From the Whitworth Athletics website. "Whitworth Athletic Facilities," available at: http://www.whitworthpirates.com/information/insideathletics/facilities. From Staff Reports. Spokesman Review. 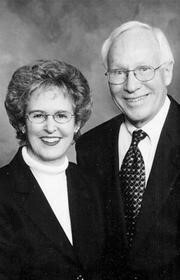 "1951 Whitworth Graduate Gives College $1 Million," October 08, 2011. Unknown Author. Vindy.com. "Surprise party honors Scotfords for anniversary." October 4, 2009. Available at: http://www.vindy.com/news/2009/oct/04/surprise-party-honors-scotfords-for-anniversary/?print. Whitworth University. From the Campaign for Whitworth website. "Ross Cutter." available at: http://whitworth125.com/2014/09/12/ross-cutter/. Whitworth University. From the Campaign for Whitworth website. "John Scotford." available at: http://whitworth125.com/2014/10/04/john-scotford/. Unknown Author. From the Whitworth Virtual Tour website. 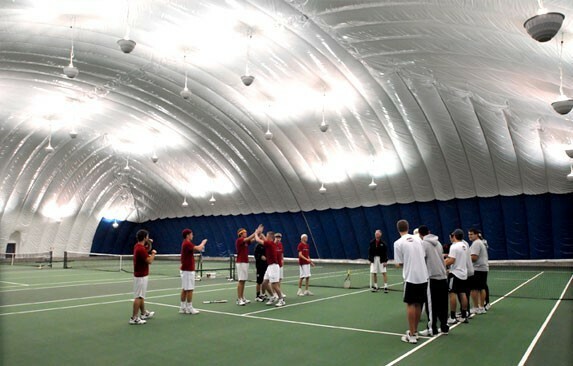 "Scotford Tennis Bubble," available at: http://www.whitworth.edu/GeneralInformation/VisitWhitworth/Tour/#!prettyPhoto.